There is nothing quite like observing wild animals in their natural habitat from the back of a jeep on a game drive. Whether you are on the market for a camera for your upcoming safari trip, or need help getting the most out of your existing camera on safari, then read on. After a week spent at Kruger National Park in northeast South Africa, it occurred to me that there were a wide range of cameras being used by tourists, from iPhones to Canon 7Ds, with zoom compacts being particularly popular. 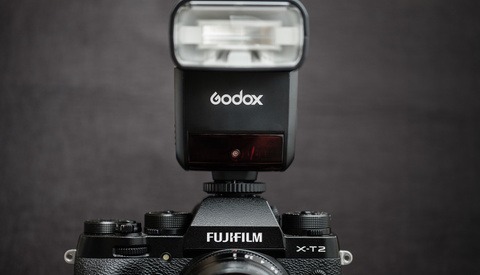 Rather than provide a list of ideal cameras on the market right now, this is more of a guide of features to look out for, thus future proofing this article. Safaris are expensive trips so you may be borrowing a camera from a photographer friend, or you may be looking to get the most out of the one you already have. If you fall into these categories then there will be a few pointers listed below to get the most out of your existing gear. If you have more expensive, tailored gear then you may get some better pictures than Joe Public, but if you think you’ll get the opportunity to shoot a leopard maiming a buffalo in a tree everyday, you’ll be disappointed. Safari is an opportunity to observe animals across vast bushlands, stretching hundreds of thousands of acres. The animals have the opportunity to roam freely and do not plant themselves on the side of the road for your convenience. Professional imagery for “Planet Earth II,” for example, is captured after weeks and months of research, observation, and waiting for the right moment. 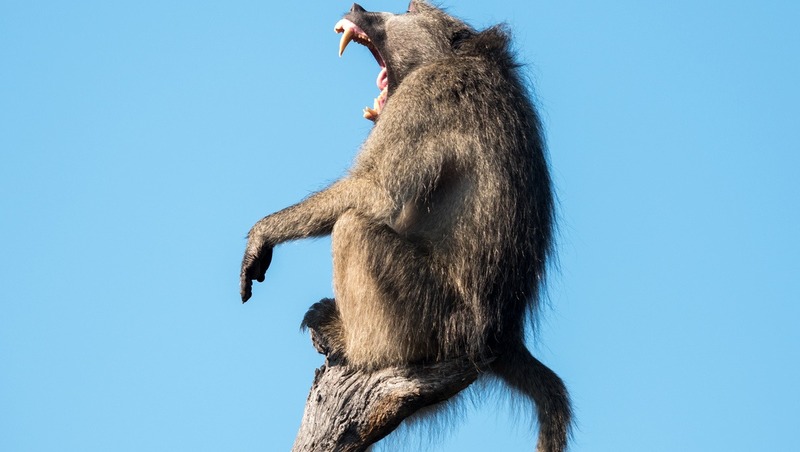 There is opportunity to get some great shots yourself on game drives, but if you don’t, try not to be disheartened and make sure you enjoy the experience primarily. With all this in mind, let’s start here. Let's get the obvious one out of the way. You are going to want a lot of reach with your lens selection or camera choice. We're talking about optical zoom specifically, if the manufacturer is advertising a digital zoom, then ignore it as it's the same as cropping the picture when on your PC. You can never guarantee how close your jeep will get to a heard of elephants, or a troop of monkeys, as jeeps must stay on the designated tracks. So having at least 300mm full-frame equivalent reach is going to help fill your frame with the subject. 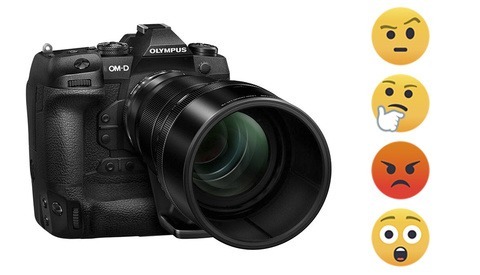 For larger budgets, micro four thirds cameras have excellent quality of reach-to-value ratios given their crop factors, so check out the latest ranges of Olympus or Panasonic cameras to pair with the Panasonic Lumix G Vario 100-300mm f/4-5.6 II POWER O.I.S. lens, or the Panasonic Leica DG Vario-Elmar 100-400mm f/4-6.3 ASPH. POWER O.I.S. lens for larger budgets. Ultra-zoom bridge cameras will give you excellent reach for good value, and compact travel cameras do the same whilst fitting into your pocket, just without as much reach generally. Given most of your game drives will be in bright sunshine, the smaller sensor sizes on these cameras will suit just fine. You will just not get that separation between a sharp subject and a soft, blurry background seen when using more expensive telephoto equipment. Camera shake will be over-exaggerated at the telephoto end of your lens, so optical image stabilization will help keep those telephoto shots nice and sharp by offsetting camera shake in hand. Whether a camera has an optical or electronic viewfinder, the benefit is two-fold when on a safari. The bright sunlight will create a lot of glare off the LCD panel, so using a viewfinder will ensure you can see what you are shooting. Using a viewfinder also gives your camera an extra anchor point to keep it nice and steady when shooting at the telephoto end. Your best shooting position is to lean your elbows on a static object (or elbows in if you’re free styling) and use a viewfinder. If you're lucky enough to catch some fast moving action out in the wild, having a meaty burst mode will be very useful. Some cameras even come with a buffer mode which will capture several frames before you hit the shutter button, ensuring you won't miss the key moment. Continuous focus tracking is a powerful feature that keeps a moving subject in focus as long as they stay within your focus points. This is extremely effective when pairing up with a fast burst mode. Similar to burst mode, you get what you pay for. Pricier camera bodies will have more efficient continuous focus tracking systems, typically using “phase detection.” Mirrorless cameras often use a contrast-based focus detection which is hit and miss, and this feature is rarely found on point and shoots. All of the photography in this article was shot on the Olympus E-M1 Mark II using its phase detection autofocus, often in C-AF (tracking) mode and using its 18fps mechanical shutter burst mode or its unbeatable 60fps in electronic shutter mode. This isn't a mode to look out for, rather some important etiquette to assume to ensure the animals are not disturbed. Turn off any artificial noise such as focus beeping, or the fake mechanic shutter noise on digital cameras. If you're looking at your camera screen, use the visual cues on your camera instead to confirm your focus point. Also, leave your flash at home. It's very rare you will be close enough for it to be used effectively on the wildlife, and when you are it could blind certain species. If you are on a sunset game drive or a night game drive, either use lenses with wide apertures (Sony’s mirrorless range is excellent for this), or simply enjoy the evening without a camera in hand. Even with fast glass, conditions do not lend themselves to effective telephoto photography, so sit back and enjoy the ride. Use a camera with a battery you can remove and buy an extra one. You'll be thankful. Also, buy as big and fast an SD card as you can afford. Cards with high read/write speeds will ensure you don't have to wait for your previews to buffer. This can be a nuisance when shooting in burst mode with a slow card. Use one area focus in the center of the screen rather than a multi-point focus. Grab focus on your subject, then recompose your shot with the shutter half pressed down. This will save losing time as your camera hunts around to work out what it is you want to be in focus. For added reach when shooting video, check if your camera has an “extra tele conversion” mode and switch it on. This enables the camera to use only the required pixels from the sensor for your chosen video resolution, effectively cropping into your subject without losing resolution for HD or 4K video. This is very useful when twinned with a powerful O.I.S. system like the one in the Panasonic GH5. Lastly, a few words on megapixels. Having more will ensure cropping into your subject on your PC will keep resolution high, but read reviews on performance of your camera, as increasing megapixels can increase graininess and unwanted noise. For 10x15-inch prints and online sharing, 16 megapixels is enough. For any novice, picking the right camera for the trip of a lifetime is daunting. If you value your photos of your travels then invest in a good camera. Looking out for these features if you're on your way to safari is a great place to start. 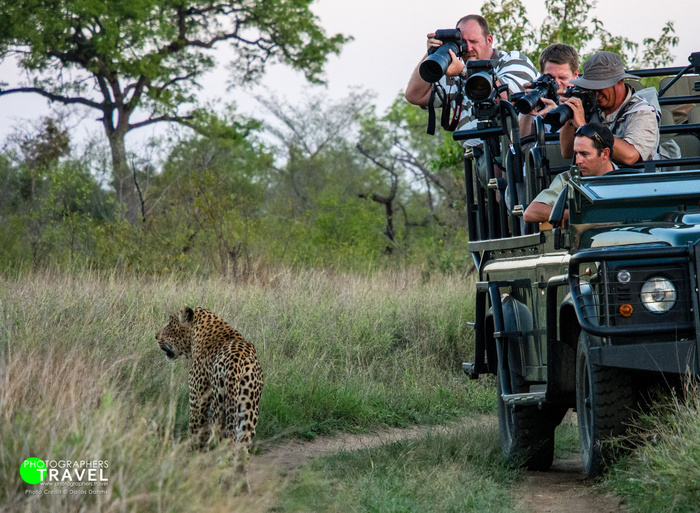 If you're going on safari specifically for photography you may want to avoid the national parks and join a group photography interest safari to a private game reserve, or arrange a private trip to one of the private reserves through a specialist photographic safari organiser (raises hand shamelessly). Why? 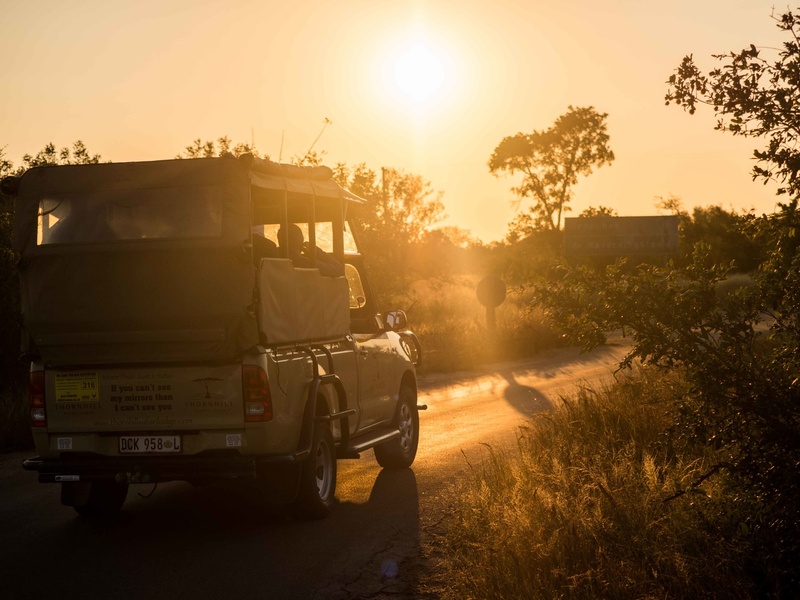 Well, on the private reserves you can't drive yourself, so every day you will have a couple of game drives with a dedicated game ranger and tracker who will be able to drive you right off-road to where the action is happening. There is nothing quite like the thrill of photographing a leopard with a 24-70mm lens! Another reason for this is because of the light. 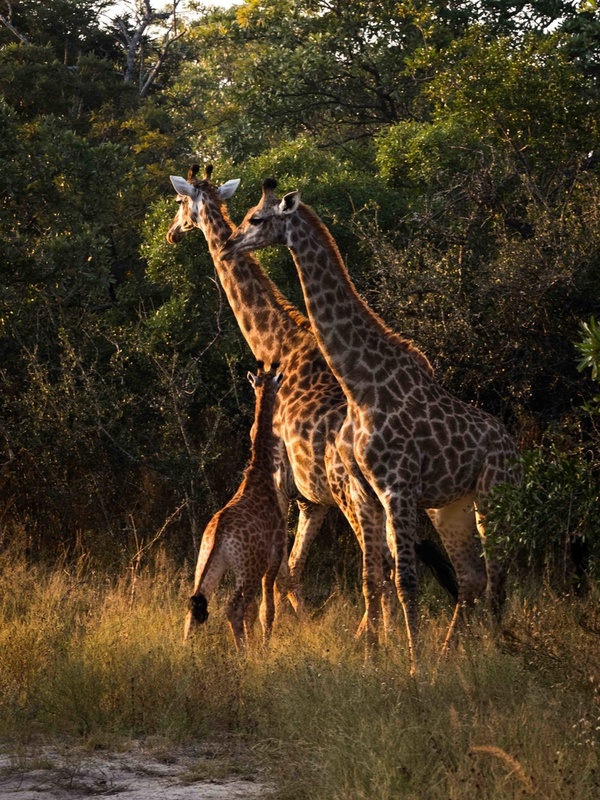 If you are going to the Kruger you will only be allowed into the reserve from sunup till sundown. Not good for photographers, especially as the first few hours of your morning drives will be spent looking for stuff (and probably seeing nothing). The private reserves will get you closer, faster, because the rangers are in radio contact with one another constantly, so when there is a sighting at a location on the reserve they will advise other rangers and then everyone takes turns on that sighting, usually not more than 3 cars allowed at each time. In the National parks like KNP you are going to be dealing with every car that comes along and it can get ugly. KNP can be wonderful, but it can also be dreadful when it comes to photography. Some great points and agree with you completely. I have a good amount of time in private reserves and lots of time in Kruger, KTP, Addo and others across SA. 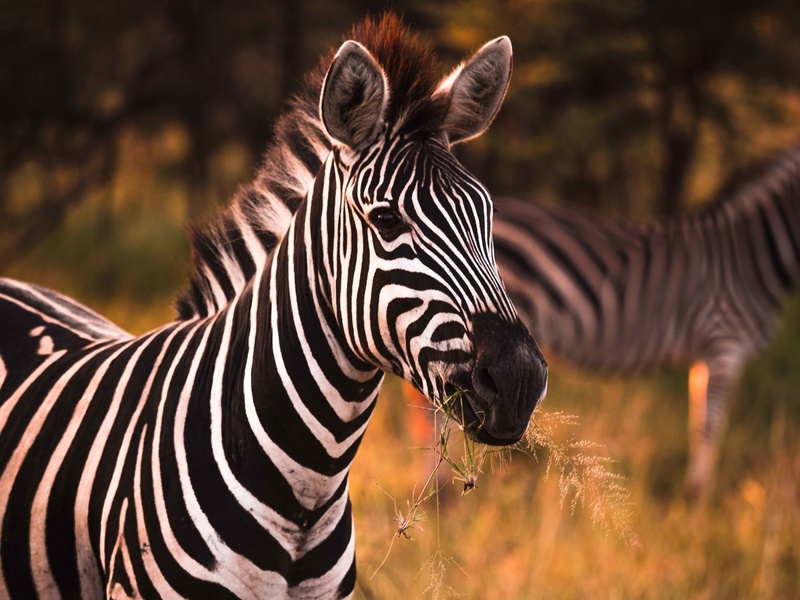 Clearly, if you have the budget and specific focus of a photographic safari, then private reserves are the way to go for the points you mention. However, there is a significant cost difference between a private reserve and public like Kruger. Kruger charges anything from R600-R1500 a night, where private reserves will charge in excess of R10,000 per person per night. That is nearly 10 times the cost - for one person. I think it is important to highlight that. I have got many great shots from both types of reserves and having the ability to be out all day from dusk till dawn is great in public parks. 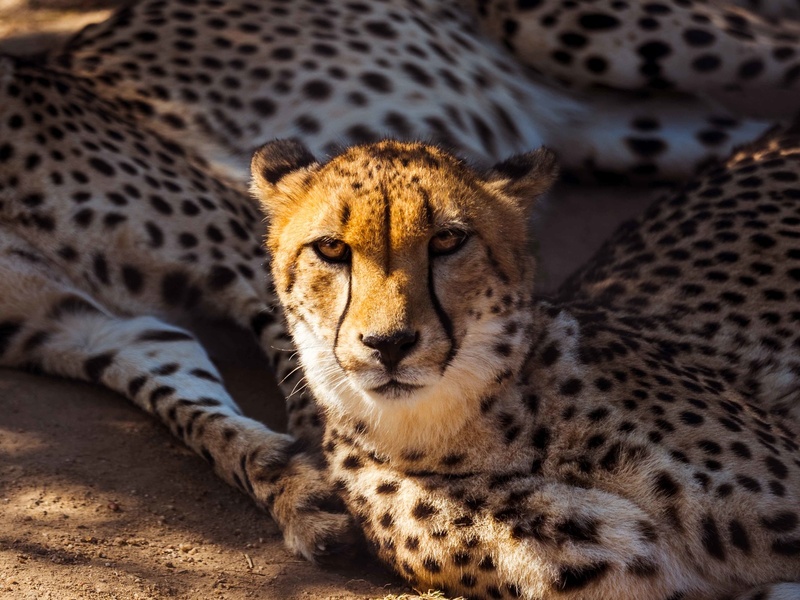 However, traffic in public parks can be a nightmare and the general behavior of people around a sighting can be very aggressive to the animals and other people. I do agree that being able to use a 24-70mm for a leopard and not a 500mm F4 from the road is a big difference :-). Good luck and all the best. Obviously the costs are different, but honestly the photographic rewards are commensurate with those costs, in my opinion. 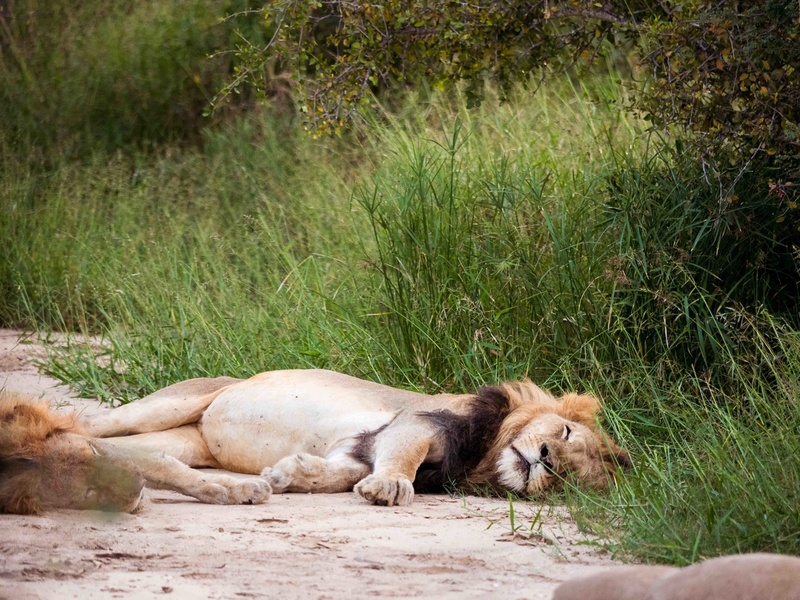 I would rather spend 2 nights in Sabi Sands than a week in the Kruger. I'm guaranteed to get better photos, whereas the KNP is a crap shoot (and as you say the behaviour of some people at sightings in recent times leaves a lot to be desired). In the end you get what you pay for. However, I have found some excellent private game reserves where the prices are not that much more than SanParks (maybe 3-4x the cost). Good article - excellent comments. Any suggestions as to the best references for private parks? Thanks Dallas & Derek for some insightfulness to alternatives for more serious photographers who want to safari!